We’ve had it from the media, opponents, even our own players. There’s few left in football yet to belittle Everton and question the club’s size, ambition and standing. However, the biggest shock came on Wednesday when the Toffees’ own manager, Ronald Koeman, effectively claimed the star striker was too good for the club. ‘Romelu will not have made the most of his career if he plays for Everton for the remainder of his career,’ he said. The man paid £6million-a year, brought in to return Everton to former glories, claimed Romelu Lukaku‘s career would be wasted if he stayed at Goodison Park. Quite Unbelievable and a real kick in the teeth. What is Koeman doing on Merseyside exactly, if after only a few months of a new project, he is revealing to a Belgian publication that Everton will not be big enough, not achieve enough, to keep their best players in future? Yes, it is unlikely Lukaku will remain at Everton – but it should not be the manager, earning mega money, claiming that to the world. What business, and let’s be honest, that is what football has become, openly puts itself down and admits other rivals are bigger and more successful? It is a massive own goal for Koeman so early into his Everton tenure. The Blues faithful are fiercely proud and his comments show an apparent lack of respect. It’s expected from pundits, not from you’re own manager tasked with getting results. Yes, Koeman is a Holland legend who has won the European Cup with Barcelona and he has no prior links to Everton. However, when a manager is paid so handsomely, he must immerse himself in the club. He can not make such claims that demeans us. Koeman must run the company line. Having arrived with Everton desperate for European football under the guidance of majority shareholder Farhad Moshiri, Koeman’s ambition and view of the club will now be questioned by sections of the fanbase. If Lukaku is too good for Everton, where does the Dutchman see us, where does he believe he can take us? If it is not back with the elite – that has to be the ambition – then the Toffees are employing the wrong man. 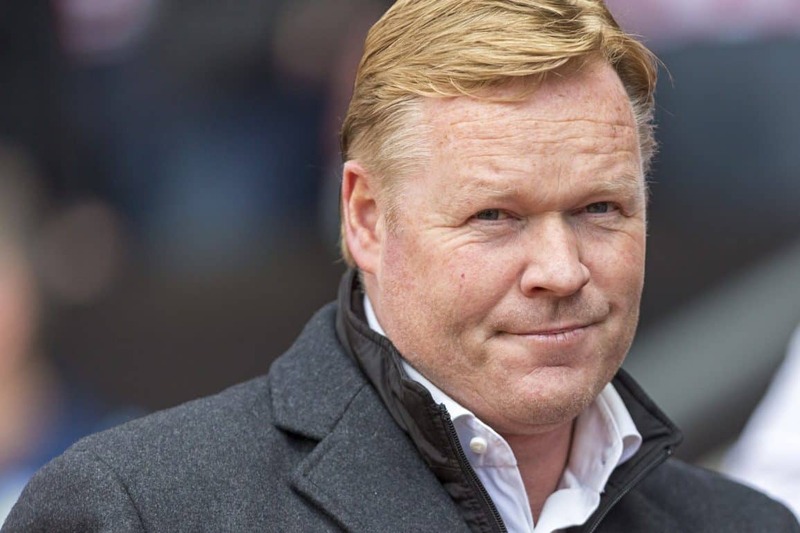 Why did he choose to take charge, leaving Southampton after guiding the Saints into the Europa League, if he believes we can not scale the heights he is convinced Lukaku will reach? As well, what will potential transfer targets think of the comments? Why would they bother to join Everton when the manager is happy to suggest Lukaku will not get the most out of his career should he stay put? For too long, during the David Moyes years, Everton were held back. Remember ‘knife to a gunfight’? The limitations were vast and still rooted into the club years later. What Moshiri’s takeover has to do is change the mentality of the football club, to be big and bold once more, to believe in success and winning silverware. Koeman’s comments have achieved the exact opposite. Moshiri must pull him up on this and question his reasoning for such a statement. A statement that didn’t need to be said, a statement actually very belittling of the club. Sure, explain that Lukaku is destined to become one of the greats but add that Everton are determined to become a side capable of matching his ambitions. Don’t discard us as a sideshow in the player’s career. Why should the fans continue to invest in Everton when the man at the helm seemingly doesn’t rate our chances of competing as a ‘big club’ with Europe’s other giants? It seems a fruitless exercise to back the team if even the manager doesn’t have faith in the club’s aim to reach the top. So much for progress. Everton have enjoyed a solid, if unspectacular start but the manager undermining the club is a real backwards step for what we are looking to achieve. For some, Koeman is being realistic and honest with the fans. However, for others, his comments leave a bad taste and will continually be a cause for question marks over his commitment should Everton ultimately fail in their desire for success during his time in charge.